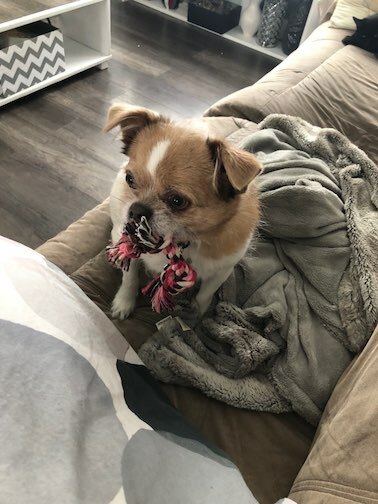 If your dog loves tug of war, the Cotton Chew Knot Dog Toy is for him. 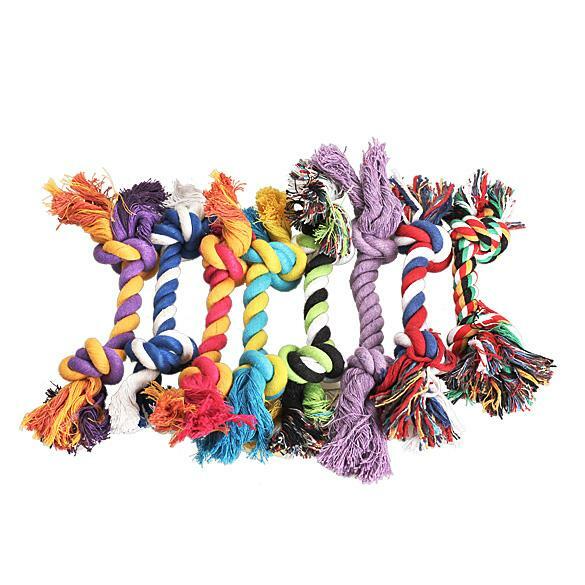 Made from soft braided cotton, this toy cleans your dog’s teeth while he chews. When this tug is dirty, just throw it in the wash and it’s ready to be played with again! Makes playtime with your pooch more fun. 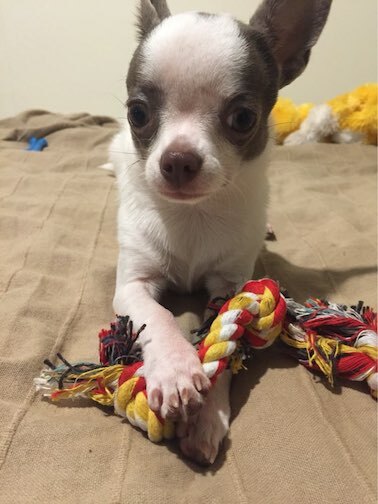 Built strong to chew and play for hours. Round end is comfortable to hold and the thick braid ensures durability. 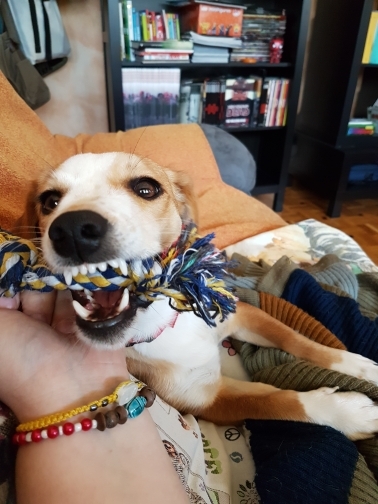 Safe, long lasting-great for games, fetch, and tug-of-war. 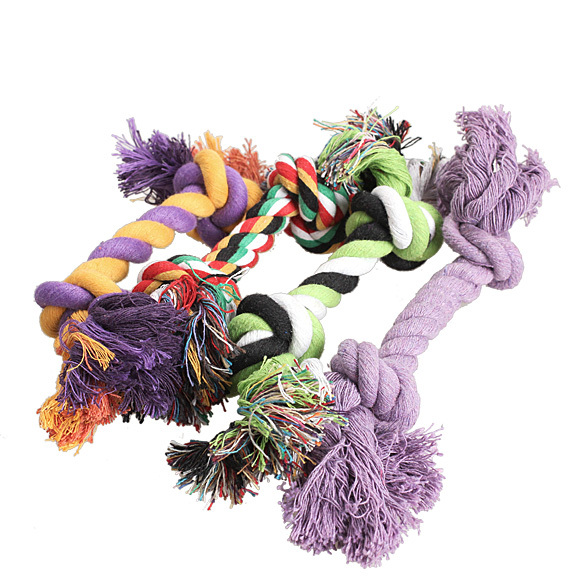 Helps redirect bad behavior such as biting by providing your dog with a fun and healthy distraction. 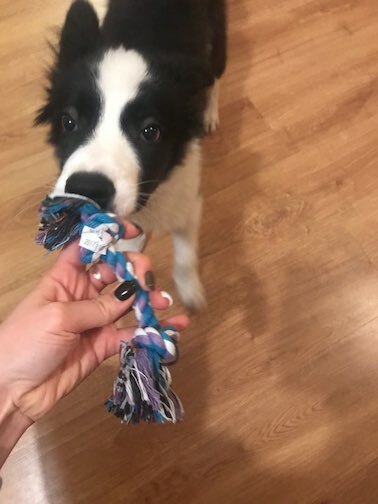 Perfect item for teething puppies and strong chewers. 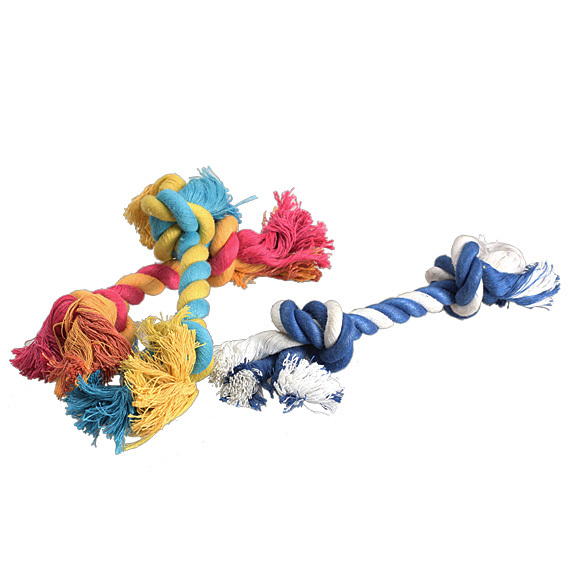 If your dog loves tug of war, the Cotton Chew Knot Dog Toy is for him. 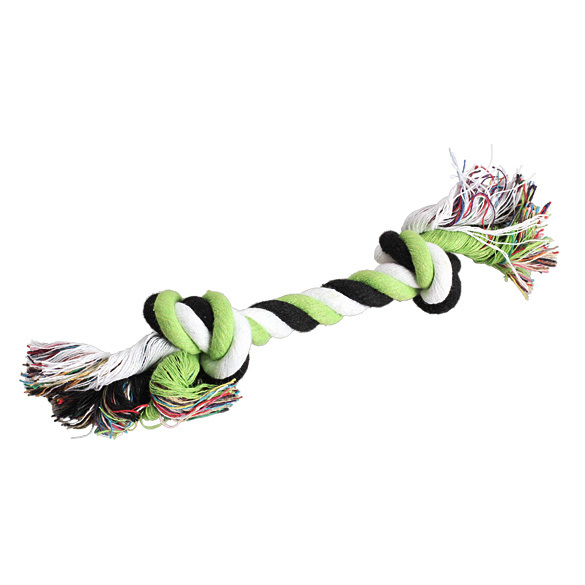 Made from soft braided cotton, this toy cleans your dog’s teeth while he chews.